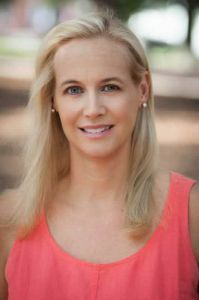 Winner of the 2015 Willie Morris Award for Southern Fiction, Katherine Clark, is the guest speaker at Pensacola State College’s Book Talk at 2 p.m., Wednesday, Nov. 16 at the Chadbourne Library, Building 20, on the Pensacola campus, 1000 College Blvd. When William Faulkner embarked on his literary career, he did not think the South was worth writing about. After realizing that his “own little postage stamp of native soil” was the best setting and subject for his oeuvre, he led the way for many other great writers who have explored Southern history and culture in their works. Now Southern fiction commands such international renown that today’s writers are challenged to present stories that haven’t already been told. Clark discusses her struggles in finding and articulating her own postage stamp of native soil in her novels. All three are comedies of manners which offer a gently satirical portrait of those who live in their own little special world, as opposed to the real one. A resident of Pensacola, Clark grew up in Birmingham, Ala., and graduated from the Altamont School in Mountain Brook, a Birmingham suburb. She earned a bachelor’s degree from Harvard University, and a Ph.D. in American literature from Emory University. She was a college professor in New Orleans for 13 years before pursuing her writing career, an ambition she had harbored since first grade.